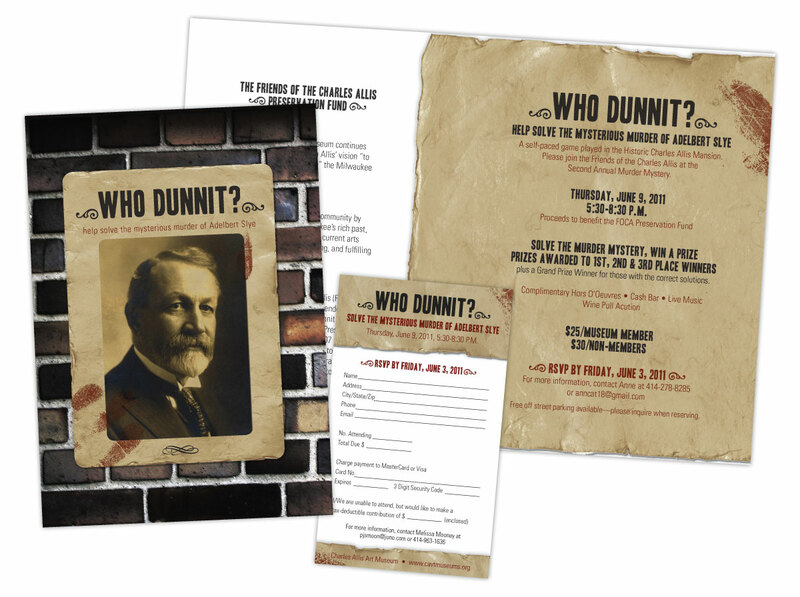 This brochure was the start of a new look for the museums marketing materials. From this project on, all printed material were titled with large, all caps text running up the side. The museums needed a beautiful piece to captivate future brides and provide them with the appropriate information. 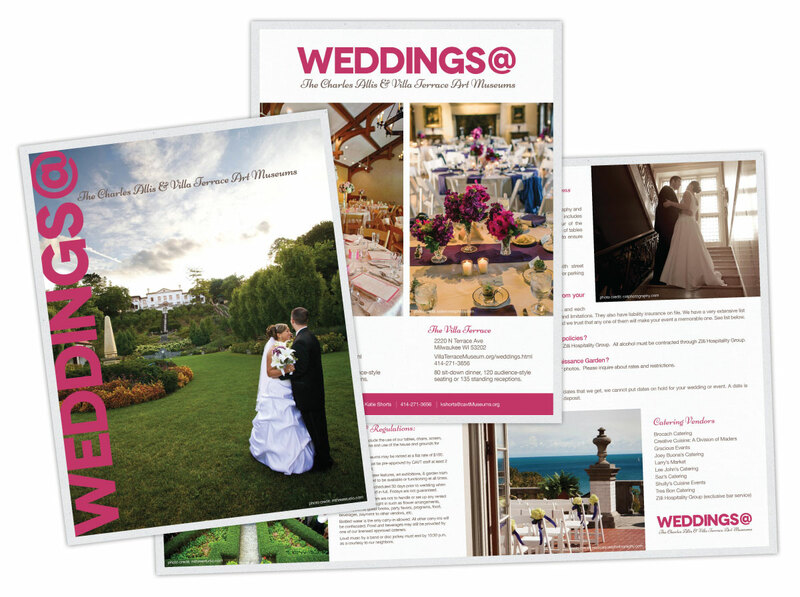 Using the new look and beautiful images provided by local photographs we created this large format folded piece for brides and family looking to have their special day at either the The Charles Allis or Villa Terrace Museums. Every quarter the museums sends out a newsletter. 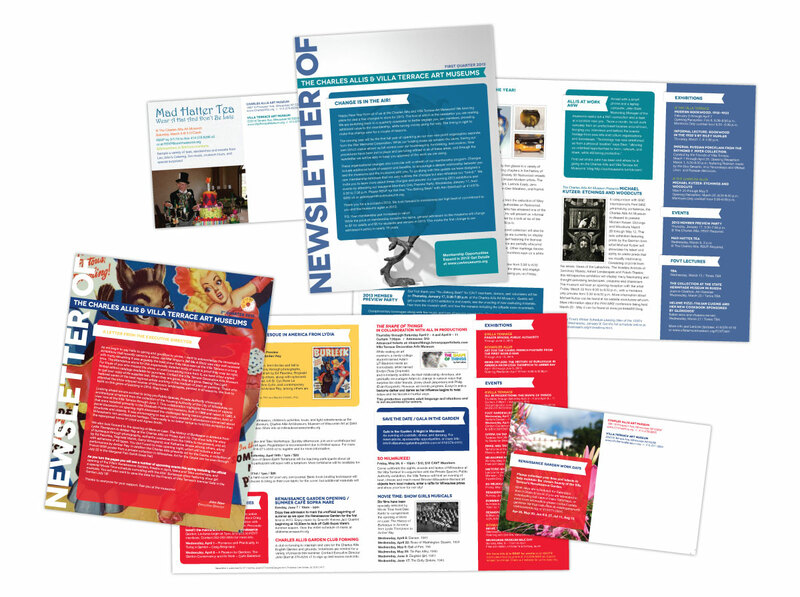 When we established a new look for the museums it only seemed right that the newsletter follow. With supplied copy the content is laid out in a template we designed and the colors are changed to match the cover photo. 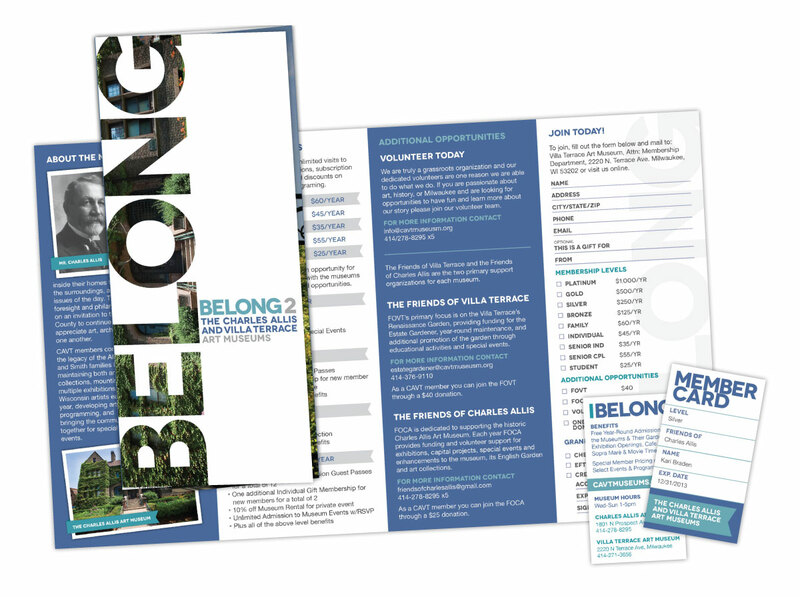 This piece is designed, proofed, printed and mailed by GT Creative. Sometimes you need to have fun with a project and create something thats out of the ordinary for a special event or fundraiser.